Gummy vitamins make health fun! Taking a MegaFood supplement and putting it in chewable gummy vitamin format is a no brainer! Dedicated to producing the highest quality supplements, the brand’s latest innovation is the first certified Glyphosate Residue Free (GRF) gummy vitamin in the marketplace. The new gummies are made with real food sourced from MegaFood Farm Fresh Partners (https://www.megafood.com/), including Uncle Matt’s®Organic, Kauai Organic Farms, and James Lake Farms. 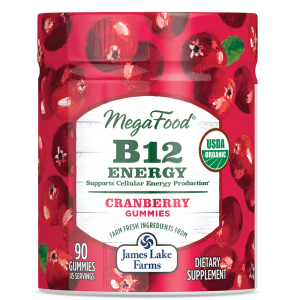 B12 Energy Cranberry Gummies—Crisp Wisconsin cranberries from James Lake Farms give these gummies a sweetly tart, real berry taste. Each serving contains essential B12 vitamins to help promote energy levels*, making these gummies perfect for an afternoon pick-me-up. 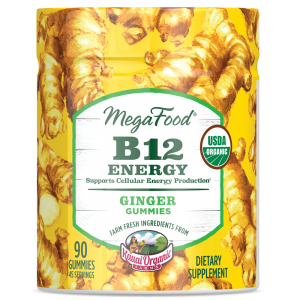 B12 Energy Ginger Gummies—Designed to support the body’s energy levels* with B12, these gummies get their distinctive, real ginger taste from Kauai Organic Farms’ ginger root. 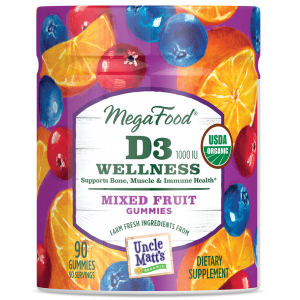 D3 Wellness Mixed Fruit Gummies—Fresh Florida oranges, sweet Quebec blueberries, tangy Wisconsin cranberries, and spicy Kauai ginger come together to create a mouthwatering flavor you’ll look forward to eating every day. Vitamin D3 helps to support bone, muscle and immune health*. 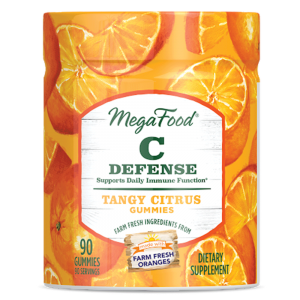 C Defense Tangy Citrus Gummies—Packed with vitamin C to support immune health*, these gummies get their bright burst of real citrus flavor from farm-fresh Florida oranges from Uncle Matt’s Organic. Give healthy gummy vitamins a try!